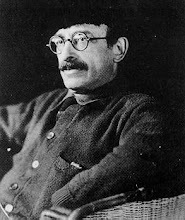 Alexander Berkman Social Club: This month: The Tiger Brigades! This month: The Tiger Brigades! Our event this month will be a special presentation of the French movie - or is that film? - The Tiger Brigages (Les brigades du Tigre), which features the Bonnot Gang, the French illegalist anarchists & legendary inventors of the getaway car. Of course food (popcorn!) & refreshments will be available. We hope that you can make it to this exciting event. Thursday, May 28th, 2009, 7 p.m.